In 1991 the SCA received the meritorious SPWLA technical achievement award. This award was presented to the Society of Core Analysts for the 1990 series of papers entitled: “SCA guidelines for sample preparation and porosity measurement of electrical resistivity samples”. Many SCA members contributed to this series, and this was the first time the SPWLA gave this award to a chapter. The SCA’s Lifetime Achievement Award is awarded annually to an individual deemed by the SCA Board of Directors to have made outstanding contributions to the advancement of core analysis technology. The award is the SCA’s highest honor and the only award for technical achievement. Since the purpose of the award is to acknowledge technical achievement, the 1995-1996 SCA Board of Directors has voted to change the name of the award to Technical Achievement Award. In 2007, the Board of Directors decided to change the name to Darcy Award, in honour of Henry Darcy and his work leading to the Darcy Law. In 2012, the Board decided to grant a Service Award to members which have made Outstanding Contributions and Endeavors for many years to the Society. Olga Vizika holds a Chemical Engineering and a PhD degree both in Chemical Engineering, from the University of Patras, Greece. She is Geosciences Director of IFP Energies Nouvelles. She has authored or co-authored more than 85 papers and 40 papers in peer reviewed journals on various aspects of multiphase flow in porous Media: modeling of transport properties of gravity drainage, gas injection processes, Water Alternate Gas (WAG) processes, gas condensate, geological storage of CO2, and effects of microstructure and heterogeneities at different scales on the displacement mechanisms and macroscopic flow properties of sandstones and carbonates. She is SPE and SCA member. She is Technical editor of the Society of Petroleum Engineers publications, member of the organizing, scientific and technical Committees of several SPE ATW et SPE Forums, Chairman of the Technical Committee of the 2003 SCA meeting (Society of Core Analysts), Member of the Fluid Mechanics and Oil Recovery Processes Committee of the Society of Petroleum Engineers, Member of the Management Board of the Society of Core Analysts from 2003 to 2006, where she occupied successively the positions of Vice President Technical, President Elect, President and Past President. She has led several European projects as well as bilateral projects with industrial funding. 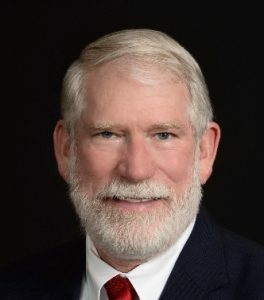 Daniel R. Maloney has conducted flow through porous media research, special core analysis investigations, and laboratory mechanistic modeling projects within the energy industry for 33 years. Experience includes service as a Senior Research Associate with ExxonMobil Upstream Research Company (2010-present), as a Staff Reservoir Engineer with ConocoPhillips and Phillips Petroleum Company (1997-2010), as a Principal Petroleum Engineer with BDM Oklahoma and BDM Petroleum Technologies (1994-1997), and as a Senior Engineer with IIT Research Institute at the National Institute for Petroleum and Energy Research (1984-1993). Noteworthy research contributions are in areas of three-phase relative permeability and laboratory measurements of reservoir-condition fluid flow and retention phenomena. A significant recent contribution is a simple capillary end-effect correction to improve steady-state relative permeability data. His SCAL investigations have supported major reservoir developments in many countries. He has contributed toward the training and development of young engineers and technicians. Dan has authored and co-authored 25 Society of Core Analysts (SCA) and Society of Petroleum Engineers (SPE) papers on a wide variety of topics; relative permeability, capillary pressure, rock and fluid electrical properties, trapped gas measurements, multi-phase flow in fractures, x-ray in-situ saturation measurement techniques, connate water replacement, thermal effects on SCAL measurements, Joule-Thomson cooling during CO2 injection, paraffin precipitation during cold water injection, and seismic stimulation. He is a co-inventor on 5 patents with topics including geothermal energy production, electro-magnetic reservoir heating, sonic and ultrasonic stimulation to enhance oil recovery, and improved laboratory test methods. Technical memberships and service have included the SCA (President, VP of Technology, VP Publications, and many years of participation on Technical Committees), SPE (Section Chairman, Section Programs Chairman, Editorial Review Committee, Technical Editor), Oklahoma Society of Professional Engineers (Awards Chairman, Programs Chairman), and Engineers Club of Bartlesville (President, Programs VP). Dan’s degrees are from Colorado School of Mines (BS Mining Engineering), the University of Tulsa (ME Electrical Engineering), and Oklahoma State University (MS Telecom Management). Patrick Egermann graduated with M.Sc degrees in hydraulic/fluid mechanics from ENSEEIHT (1995, head of promotion) and in reservoir engineering from IFP school (1998). He holds also a PhD degree in Earth Sciences and Environment from the University of Toulouse (2003, Leopold Escande award). He first joined Geoservices in 1998 for a field engineer position in well testing operations (France, Italy and Asia for exploration and production wells). He then joined IFPEN in 1998 as research engineer and then project leader for research, collaborative and contractual studies in the domains of Special Core Analysis (measurement on cuttings and experiments under reservoir conditions) and numerical simulations (core and reservoir scales) of various recovery processes (gas, CO2 and WAG injections, thermal (SAGD), polymer). In 2006, he joined Gaz de France (now ENGIE) as head of the new technologies section in the geosciences department of Storengy in charge of the natural gas storage assets. He is involved in reservoir engineering studies on various storages (either in deep aquifers or depleted gas or oil field; siliclastics or carbonates), in the development of new methodologies and tools for reservoir characterization / simulation / monitoring with validation on field cases and data and more recently in reservoir engineering studies on geothermal assets (both low and high enthalpy) for district heating and power generation. He served two years as Chairperson for the SPE Reservoir Engineering and Evaluation Review Committee (2006-2007) and is peer-reviewer for SPEREE, SPEJ and Elsevier journals. He received the SPE peer apart award in 2009. He gives lectures in Petroleum Engineering at IFP School, ENSEEIHT and Ecole des Mines Nancy. He was the VP Technology of the Society of Core Analysts (SCA) for 2011-2012, and the President of the SCA for 2013-2014. He has published 50+ technical papers, including 18 publications in journals, 32 in conferences and 13 patents. He received the SCA Best Paper Award in 2013 and his SCA papers were ranked in the best papers in 2000, 2001, 2002, 2003, 2004, 2005 and 2009 (publications in Petrophysics journal). David K. Potter graduated with a B.Sc. (Hons) in Geological Sciences (1979) from Leeds University, UK, followed by a M.Sc. in Geophysics and Planetary Physics (1980) and a Ph.D in Geophysics (1986) from the University of Newcastle upon Tyne, UK. He then undertook a series of postdoctoral research fellowship appointments in geophysics, firstly at the California Institute of Technology, U.S.A., and then at the University of Newcastle upon Tyne, UK. In 1996 he joined Heriot-Watt University, UK, and was the coordinating petrophysicist in PEGASUS Phases I and II, the UK’s first managed program in petrophysics. He later became the Anadarko Professor of Petrophysics and Geophysics, and the Director of Research, in the Institute of Petroleum Engineering at Heriot-Watt. He served as a European Association of Geoscientists and Engineers (EAGE) Distinguished Lecturer in 2001. He was the VP Technology of the Society of Core Analysts (SCA) for 2006-2007, and the President of the SCA for 2008-2009. At present he is Professor of Petrophysics and Geophysics and was the first Director of the Integrated Petroleum Geoscience (IPG) MSc program at the University of Alberta, Canada from 2009-2014. He has published 65+ technical papers, including 20 SCA papers. He received the SCA Best Paper Award in 2007 and his SCA papers were ranked second in 2005 and 2006. Ole Torsæter was born in Ringsaker, Norway in 1951 and he received a Master degree in petroleum engineering from Norwegian Institute of Technology (NTH) in 1975. He was in the first class of petroleum engineering students graduating in the new oil nation. He received a Dr.ing.-degree in reservoir engineering from the same institution in 1983. Ole Torsæter is currently Professor in reservoir engineering in the Department of Petroleum Engineering and Applied Geophysics at the Norwegian University of Science and Technology (NTNU), Trondheim, Norway. Ole got his lifelong interest in laboratory based teaching and research from Professor M.B. Standing’s excellent lectures on experimental reservoir engineering. In 1977 (after serving in the navy) Ole joined SINTEF as a researcher and his first task was to interpret well tests from the Ekofisk field. During this work he became convinced that the recovery processes of oil from fractured chalk needed more detailed studies. He proposed a research project to Phillips Petroleum Co. for doctoral research on the injection of water in the Ekofisk Field and got the possibility to stay in the research center of Phillips in the period 1981-82. He investigated the water imbibition properties of more than 100 chalk core plugs and the results showed that Ekofisk was a good candidate for water flooding. In 1987 a full scale water injection project was started at Ekofisk which turned out to be a success. During the Ekofisk work Ole observed that the centrifuge equipment for capillary pressure measurements was far from optimal. As a young Associate Professor in 1983 he started a project to develop a fully automated centrifuge for capillary pressure and relative permeability measurements which finally resulted in a centrifuge system that was commercialized by ResLab. This company was founded by Ole’s friend and colleague Odd Hjelmeland with Ole as a cofounder. Ole worked part time in the company for several years and got valuable experience as a project leader for SCAL projects. However, Ole’s main interests were teaching and research and he became a professor in 1990. During a research stay at New Mexico Tech in 1991-92 Ole was introduced to Norman Morrow’s and Jill Buckley’s work on the effect of fluid composition on oil recovery and Ole brought many new impulses back to Trondheim after this stay. In the 90’s Ole had several administrative tasks and he was Department Head 1993-96. In the last 15 years Ole Torsæter has been teaching, supervising PhD-students and consulting within the area of experimental reservoir engineering. Presently he is studying microbes, CO2, surfactants and nanofluids for EOR. Torsæter has supervised more than 140 Master students and 17 PhD students to date and 6 PhD students are presently in his research group. 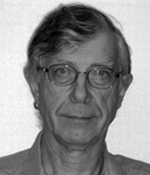 Ole Torsæter has been active in SCA since 1995, assisted in organizations of SCA conferences and been member of the technical committee for many years. He has authored and co-authored more than 50 journal papers and more than 100 papers in conference proceedings. After a few years in thermodynamics and plasma physics, Roland Lenormand devoted most of his activity to the topic of flow in porous media (academic research, Schlumberger, IFP) through various angles: Modeling of flows in porous media and fractures, Applications to reservoir engineering, Petrophysics and Special Core Analysis and Measurements on cuttings. Roland Lenormand authored and co-authored more than 150 papers including 40 publications in international journals (Nature, Physical Review Letter, Journal of Fluid Mechanics, Water Resources Research, Transport in Porous Media, Colloid and Interface Science, etc. ), 25 SPE & 20 SCA papers and 10 Patents. He is currently teaching in several universities as a part time professor and is a SCAL instructor for IFPEN-Training. He has been a member of editorial boards of several international journals (Transport in Porous Media, Journal of Contaminant Hydrology, SPE Journal) and was Chairman of the SPE committee on EOR and Fluid Mechanics in 2001, as a representative for France in the IEA collaborative program on EOR. Martin Blunt joined Imperial in June 1999 as a Professor of Petroleum Engineering. He served as Head of the Department of Earth Science and Engineering from 2006-2011. Previous to this he was Associate Professor of Petroleum Engineering at Stanford University in California. Before joining Stanford in 1992, he was a research reservoir engineer with BP in Sunbury-on-Thames. He holds MA and PhD (1988) degrees in theoretical physics from Cambridge University. Professor Blunt’s research interests are in multiphase flow in porous media with applications to oil and gas recovery, contaminant transport and clean-up in polluted aquifers and geological carbon storage. He performs experimental, theoretical and numerical research into many aspects of flow and transport in porous systems, including pore-scale modeling of displacement processes, and large-scale simulation using streamline-based methods. He has written over 200 scientific paper and is Editor of Transport in Porous Media. In 2011 he was awarded the Uren Award from the Society of Petroleum Engineers for outstanding contributions to the technology of petroleum engineering made before the age of 45. 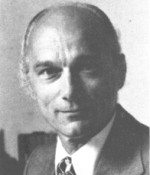 Jos Maas studied experimental physics at Amsterdam University and obtained his PhD in 1976. For that, he built a double mass-spectrometer and wrote a simulator program to analyse the data by forward modelling of ion trajectories. Analysing experiments through interpretation-by-simulation has been the continuous factor in his whole career. He joined Shell in 1976 and has held a variety of positions over his 33 years of service. His activities centred on reservoir engineering, including experimental research in the lab in the Netherlands on a.o. EOR with steam or in Venezuela (seconded to Intevep SA), operational work in Oman, head of SCAL R&D (focusing a.o. on the measurement of remaining versus residual oil saturation, low salinity flooding, SCAL for EOR), CO2 EOR (a.o. at Shell’s Bellaire Technology Center in Houston), head of Geothermal R&D, Shell’s technical lead for CO2SINK (a European CO2 sequestration demo project). In the last few years before his retirement from Shell he was involved in research on unconventional gas. He studied gas well impairment due to water condensation in the near-well region in the reservoir (“rain effect”) and is co-author of a Shell patent that discusses alleviating strategies for such well impairment. Jos is a Past-President of the SCA, was the VP Technology of the first SCA Symposium in Abu-Dhabi, retired as SCA director-at-large two years ago after many years of service in that position. He is member of the SCA Technical Committee for more years than he can remember. Presently Jos is enjoying an active retirement, being part-time Reservoir Engineering Advisor to TNO in the Netherlands. In addition, he teaches for IFP Paris and is associated with PanTerra Geoconsultants BV. Recently, he has revived the SCORES web site, now a user interface to DuMux, which provides a SCAL simulator free-of-charge (see paper SCA 2011-08). John graduated from a small liberal arts college, Allegheny, in Pennsylvania with a BS in chemistry. Before going to graduate school at University of California, Berkeley, he taught chemistry and math at high school and junior college for two years in Ghana, West Africa, as a US Peace Corps Volunteer. He obtained a Ph.D. in chemistry in the fall of 1970. For the next forty years John worked/consulted to oil companies: 8 years at Occidental Petroleum (CA), one year at Arco (AZ), 19 years at Exxon (NJ & TX) and the last 12 years as a consultant. During these 40 years he has worked in the broad area of chemistry and mechanics of porous media, initially with the mining industry and for the past 25 years with the energy industry (coal, oil shale, & petroleum). The first 18 years of John’s career were as an extractive metallurgist (base/previous metals and uranium); towards the end of this time span he worked on synthetic fuels (oil shale) and coal with a focus on environmental issues. With the demise of the Coal and Synthetic Fuel research at Exxon Production Research in 1988 he was transferred to the Reservoir Division, Core Analysis Section. John took this opportunity in change in work focus to return to graduate school (nights) to obtain a Master’s degree in Petroleum Engineering. John retired from Exxon in the spring of 1998 and immediately started consulting to Reservoir Management Group as a subcontractor to Exxon Exploration Company (EEC) supporting the log analysis group by providing core analysis support for their fields around the world. After two years at EEC he consulted to Conoco for two years and for the past seven years he consulted to Devon Energy. At Devon as part of an asset evaluation team he provided core analysis and rock mechanics support for their ultra deepwater fields in the Lower Tertiary GoM until early 2010 when Devon sold off their entire offshore interests world wide. During the past 22 years, John has provided core analysis/formation evaluation technical support to West Africa and GoM E & P projects involving core analysis data integration with the log analyst, the geologist, and the reservoir engineer. In the late 80’s and early 90’s he was Exxon’s representative for DEA 23 Filtrate Invasion During Coring research project at TerraTek and Exxon’s representative for rewriting of API’s RP40. John was SCA president from 1996-1997, a member of the SCA Board from 1994 to 1998 and again from 2005 to 2009, and has been a member of the technical committee for the past 17 years. Since retiring from Exxon he has co-authored ten papers/ workshops presentations at SCA and seven at SPE, SPWLA, and AAPG. His most recent interests have been investigating the impact of true reservoir conditions on rock mechanics and fluid flow measurements. John is currently semi retired (again) with part time consulting to Noble Energy’s GoM projects. He and his wife, Christie, recently moved from Houston to 80 miles north of Seattle to be near both their sons and families. Odd Hjelmeland recently left ResLab, Reservoir Laboratories AS, a company he started in 1986 and has up to 2009 served as Managing Director. Odd Hjelmeland was born in Selje, Norway in 1949. He graduated from Montanistischse Hochscule in Leoben, Austria as a petroleum engineer in 1974. 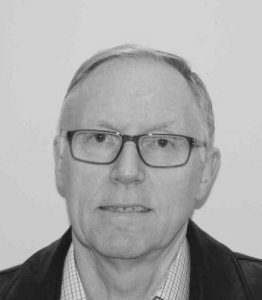 From 1975 to 1977 he was a research associate at the Technical University of Trondheim (NTNU) He then joined Sintef Petroleum Institute were he first worked as a researcher, then became research supervisor of core- and fluid analysis. From 1981 until 1982 Odd Hjelmeland was visiting researcher at the Petroleum Recovery Institute in Calgary. He was senior Scientist and Department Manager at Sintef from 1984 to 1986. Hjelmeland’s research at Sintef was in the field of capillary and flow behaviour of porous media. He was leading several larger research programmes for the growing oil business in the young oil nation of Norway. He was also initiating and leading large studies in the field of Improved Oil Recovery for governmental bodies. He was Norway’s representative in IEA’s Steering Group for research on IOR. 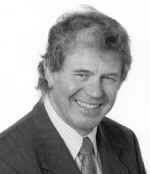 Hjelmeland earned a PhD degree in reservoir engineering at NTNU in 1985. His thesis work was on wettabilty phenomena of reservoir systems. He designed equipment for studying these phenomena at high pressure and temperature. He was able to prove that it is crucial to measure or take into consideration the effect of temperature, pressure and live reservoir systems when studying flow in reservoir systems. Based on the need for high quality services within core and fluid analysis, Hjelmeland decided to form a commercial company. He started ResLab in 1986 and had a tough start-up time since the oil price dropped to 12 USD per barrel 2 weeks after starting. The company survived and had in 2007 about 350 employees with laboratories in Norway, UK, Abu Dhabi, Oman, Iran, Brazil, and Mexico. The company was acquired by Weatherford in 2007 and Hjelmeland continued as manager until 2009. Hjelmeland stresses that ResLab’s contribution to the advancement of core analysis technology is a team effort of ResLab professionals and staff. From the beginning an emphasis was placed on offering the best services available. The commercial services were supplemented by research projects for oil companies and for internal developments. Odd Hjelmeland was leading several research projects, among others Chalk Research Programmes for the North Sea Oil Companies in the period from 1989 to 1999. He served as a distinguished lecturer in the topic of core analysis for SPE during 1997 to 1999. In 2001 Odd took an MBA degree in Strategic Management at the Norwegian School of Economics in Bergen. Hjelmeland has several papers in international journals and conferences. Marc Fleury is currently a senior scientist in the petrophysics department of Institut Français du Pétrole (IFP). Marc Fleury was born in 1959 in Mulhouse (France). He graduated from Ecole Polytechnique Fédérale de Lausanne (EPFL, Switzerland) as a physicist, and earned a Ph.D. in Fluids Mechanics from University Joseph Fourier I in Grenoble (France) in 1988. From 1988 to 1992, he worked in the field of Physical Oceanography in Baltimore (USA) and Victoria (Canada). During this period, his studies were devoted to the modelization and measurements of vertical mass or heat transfer due to small scale turbulence in the upper part of the ocean (such as the laboratory study of the effect of the earth rotation on turbulent mixing), or due to salt-heat double diffusive instability processes occurring in very specific oceanic regions. Back to Europe, he joined IFP in 1992 and started studying capillary properties of porous media, a key aspect for hydrocarbon production. Taking advantage of the large experience of IFP leading scientists such as R. Lenormand, L. Cuiec and D. Longeron, he could quickly contribute to the renewal of the core analysis sciences occurring in that decade. Using his experimental skills, he is at the origin of several innovative devices to measure centrifuge capillary pressure curves and resistivity properties; he has 3 award papers from the SCA technical committee in 1996, 1998 and 1999. His studies on resistivity properties of carbonates highlighted the complexity of these formations and the uncertainties of oil in place estimations, and this subject is still an area of active fundamental and applied research. He also contributed to better integrate core and log data, in particular resistivity and NMR. With the growing interest for NMR, he started using this technique in 1998 and probably will never stop. He contributed to the understanding of NMR surface relaxivity and wettability and proposed a new wettability index based on relaxation time measurements. He was also involved in the characterization of emulsions and measurements of oil viscosity using NMR. Along with university professors, he supervised 3 Ph.D. students. He authored and co-authored more than 60 papers (including 25 SCA papers) and has about 20 patents concerning core analysis measurement techniques and fluid characterization. He is currently involved in applied research program dealing with carbone sequestration. Gerald Hamon is currently expert for Petrophysics with TOTAL. He graduated from Institut National des Sciences Appliquées de Lyon (France) in 1976 with a degree in civil engineering. After an exciting two years period in Senegal, where he was involved in two-phase flow characterisation of soils in very remote villages, he earned his PhD in Fluid Mechanics in 1980 from the Institut National Polytechnique de Grenoble (France). Gerald joined ELF in 1980 as a research engineer in the Core Analysis group. From 1986 to 1995, he worked in a variety of senior technical positions, including field development in the North Sea, and special expertise in the evaluation and numerical simulation of naturally fractured reservoirs. In his current position, he is actively involved in working with TOTAL’s assets to design and implement data acquisition programs as well as in reviewing data related to formation evaluation and recovery processes for reserves evaluation. Gerald is also leading or supervising several research projects in enhanced oil recovery and formation evaluation. He has served as a member of the SCA technical committee since 1997. He authored or co-authored thirty-five SCA, SPE and IOR conference papers on the subjects of recovery mechanisms and numerical simulation of naturally fractured reservoirs, characterization and SCAL analysis of heterogeneous or tight samples, two-phase rock-typing, gas trapping, depressurisation of near critical and heavy oils, three phase flow, field wide wettability variations, application of pore network modelling to two-phase flow simulation. 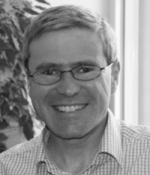 Gerald co-supervised seven PhD students to date and teaches courses on formation evaluation and recovery processes in TOTAL as well as in several universities in France. Ioannis (John) Chatzis was born in Evia –Greece in 1949 and immigrated to Canada after completing high school in 1967. In the period 1970-1979 he studied at the University of Waterloo and earned all his degrees in Chemical Engineering (B.A.Sc. (1974), M.A.Sc. 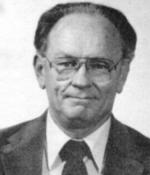 (1976), Ph.D. (1980)). His graduate studies were supervised by Professor Dullien and the published works contributed to the use of advanced network models of pore structure and invasion percolation concepts for modeling capillary and transport phenomena in porous media. Right after his graduate studies he joined the New Mexico Petroleum Recovery Research Centre (PRRC) as research engineer and worked in Dr. Norman Morrow’s group for about 3 years. While at PRRC he advanced his skills on photo fabrication techniques for making glass micromodels and made use of them for explaining and characterizing the detailed structure of residual oil in water-wet porous media, pore scale immiscible displacement mechanisms, the role played by pore structure and bulk film flow in of the wetting phase in pore corners. He contributed in the development of correlations of residual oil saturation with capillary number in porous media and relative permeability at reduced residual oil conditions. He joined the Department of Chemical Engineering of the University of Waterloo as a faculty member in 1982 and continued researching various topics relating to capillary and transport phenomena in porous media with applications to oil recovery. He was a founded member of the Porous Media Research Institute (PMRI) at the University of Waterloo in 1985 and served as head of the Chemical Engineering Department for the period 1996-2002. As an academic and researcher he has supervised 14 PhD students to date with four of them being well-established professors in Canadian universities and 3 others in their country of origin. He has been active with the Society of Core Analysis since 1991 with numerous presentations and assisted in organizing the very successful SCA 2005 conference held in Toronto, Canada. He has authored or co-authored more than 50 journal papers and over 100 papers in conference proceedings on subjects relating to fluid flow in porous media, pore structure characterization and core analysis techniques. In the area of core analysis, he has published work on apparatus design and data analysis techniques related to measurements of breakthrough capillary pressure, scaling the mercury porosimetry capillary pressure curves using the breakthrough capillary pressure, the magnitude and detailed structure of residual oil after waterflooding, relative permeability measurements using NMR, x-ray CT scanning, developed experimental techniques of oil recovery using gravity assisted inert gas injection and heavy oil recovery techniques using vapor extraction. His current research activities are focused on fundamentals and novel techniques for heavy oil recovery using vapor extraction, pore structure characterization of vuggy porosity carbonates using rate controlled porosimetry, relative permeability of the wetting phase at low saturations and mathematical modeling using network models of pore structure. Douglas Ruth was born and raised in Manitoba, Canada. He received his baccalaureate in Mechanical Engineering from the University of Manitoba and a Master’s degree from the same institution. After working for two years as a research engineer developing novel air conditioning systems for automobiles, he attended the University of Waterloo, obtaining a PhD while studying the problem of heat loss from solar collectors. His first appointment after his graduate studies was at the University of Calgary where he first applied his knowledge of fluid flow to the problem of transport phenomena in porous media. He left the University of Calgary for Petro-Canada Research where he worked on in-situ recovery processes for Athabaska Oilsands. He moved from Petro-Canada to GEOTECHnical resources where he became involved with both basic and supplemental core analysis. While at GEOTECH he co-authored and co-taught an intensive course on core analysis. He also helped pioneer the advanced centrifuge capillary pressure analysis techniques and reduction of displacement experiments to determine relative permeabilities as standard methods in a service company setting. He returned to the University of Manitoba in 1987 where he has served terms as Department Head of Mechanical Engineering, Associate Dean, and Dean of Engineering. He has been active with the Society of Core Analysis since the second year of its existence. He has served for over a decade on the Technical Committee, as well as the board including terms as VP (Technology) and President. He has published over 50 journal articles and has presented over 40 conference papers on the subjects of mathematic solutions methods, apparatus design, data analysis techniques, and experimental programming, as applied to topics including solar energy, petrophysics, heat transfer, and fluid mechanics. In the area of core analysis, he has published work on apparatus design and data analysis techniques related to porosity, permeability, capillary pressure, and relative permeability. In addition to his research, he has developed and marketed software to do analysis of capillary pressure and relative permeability data. This software is in use in countries around the world. Douglas and Beverly Ruth have been married for 35 years, have three grown children, and the most intelligent and handsome grandson in the world. Ken Sorbie has a degree in Chemistry from Strathclyde University, Glasgow (1972) and a D. Phil. in Theoretical Chemistry/Applied Mathematics from Sussex University, Brighton (1975). After a postdoctoral position at Cambridge University working on semi-classical quantum mechanics followed by some teaching experience, Ken worked at the AEE Winfrith laboratory for the UK Department of Energy on petroleum engineering research for 8 years. Here, he led a theoretical and experimental group working on a range of research and applied problems associated with reservoir simulation, flow in porous media and improved oil recovery. In 1988, Ken joined the Department (now Institute) of Petroleum Engineering at Heriot-Watt University where he is a Professor. The main research areas in which Ken is active are: Reservoir Characterisation: particularly on the physics of interaction of small scale heterogeneity with capillary forces and various numerical upscaling techniques. Oilfield Chemistry: Ken has worked on the prediction and prevention of oilfield mineral scale deposits since 1988 and has launched several JIPs in this area. The latest such project is the Flow Assurance and Scale Team (FAST) JIP is sponsored by about 20 oil and service companies. Fundamentals of Multiphase Fluid Flow in Porous Media: This is the study of the basic physics and chemistry of multiphase flow in porous media e.g. the modelling of wettability in porous media, the theoretical basis of relative permeability in mixed wet systems, network modelling of immiscible and near-miscible three phase (gas/oil/water) flow. Ken has published over 200 technical papers on oil related research and has written a book on polymer flooding (in 1991). These papers are listed on Ken’s area of the Institute website www.pet.hw.ac.ukfrom where they can all be downloaded as pdf files. Ken’s teaches Reservoir Simulation on the resident Heriot-Watt Masters classes as well as teaching more specialised research level short courses on: Oilfield Scale; The Fundamentals of Flow Through Porous Media; IOR; and Three-Phase Flow in Porous Media. Ken also consults internationally for many oil and service companies and, in the last year or so has worked with companies and organizations in Brazil, Venezuela, Russia, Abu Dhabi, Saudi Arabia, Malaysia, Libya, USA and countries in Western Europe. He was an SPE Distinguished Lecturer in years 2000-2001 on the subject of Oilfield Scale and he was elected a Fellow of the Royal Society of Edinburgh (FRSE) in 2001. The award of the 2004 Technical Achievement Award of the Society of Core Analysts (SCA) is a huge personal honour since the recipient list of this award contains several of Ken’s most admired all-time researchers in the area of flow through porous media. Stan Jones obtained a BS degree (1956) from Washington State University, and MS (1959) and Ph.D. (1962) degrees from the University of Michigan, all in chemical engineering. While at the U. of M., he co-authored an AGA Monograph with D. L. Katz and others on storage of natural gas in aquifers. Stan joined Marathon Oil Company’s Denver Research Center in 1962, where he made technical contributions to enhanced oil recovery using micellar-polymer flooding, developed procedures and designed equipment to obtain and interpret water/oil relative permeability data at elevated temperature and pressure, and developed theory and apparatus to measure Klinkenberg permeability and gas slippage factor and Forchheimer inertial coefficient, all from a single pressure falloff run. Stan developed equations that accurately fit the reduction of PV or permeability with increasing confining stresses on core plug samples. The technique has been extended to calculate bulk volume rock compressibility under uniaxial strain conditions from PV-stress data. He took early retirement in 1986 to join Petrophysical Services, Inc., which soon became part of Core Laboratories’ R & D group. 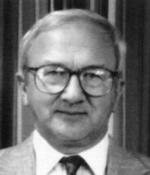 There, Stan helped to automate and commercialize the unsteady-state Klinkenberg permeameter, and to design and develop a fast, transient-pressure probe permeameter, for which he won a Litton Industries Advanced Technology Achievement award in 1992. 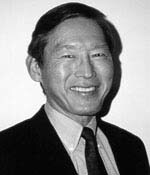 He received the SPE Formation Evaluation Award in 1997, and was a principal author of Section 6, Permeability, in Recommended Practices for Core Analysis, RP 40, 2nd Ed., API, Feb. 1988. Stan consulted for Baker Hughes (formerly Western Atlas Logging Services) in the design and analysis of downhole oil field tools from 1994 to 2000. He proposed a faster method for making gas, pulse decay permeability measurements in ultra-low permeability (less than 0.001 md) core plug samples. Time savings often amount to several hours per sample, and measurements have proven to work well. Stan has 49 U.S. patents and more than 200 foreign patents—on enhanced oil recovery processes, and design of various instruments for rock analysis. Jill Sutherland Buckley is a Senior Scientist at the New Mexico Petroleum Recovery Research Center where she heads the Petrophysics and Surface Chemistry Group. She has a PhD in Petroleum Engineering from Heriot-Watt University and degrees in chemistry (BS from UCLA, MS from New Mexico Tech). She joined the PRRC in 1977 while still a master’s student and studied surfactants and polymers for IOR applications as the PRRC’s first laboratory technician. In 1983 she began working with Norman Morrow on the problems of crude oil wetting properties that are still a major focus of her work. The chemical complexity of crude oils makes them difficult to study in any systematic way. Jill recognized that it is possible for one crude oil to have very different effects on the wetting of a core and that the composition of the aqueous phase influences the range of ionic interactions by which crude oil components adsorb or deposit to alter surface properties. Asphaltene stability is another important factor that can have a dramatic effect on wetting. Jill’s work in this area has helped to dispel the mythology that has long limited progress toward understanding asphaltene stability, providing tools for characterizing oils and predicting the onset of instability over a wide range of conditions of temperature, pressure and composition. Jill’s first involvement with the SCA was an invited lecture at the 4th Annual SCA conference in 1990. Since then she has served the SCA as a member of scientific committees, as VP Technology for the SCA conference in Calgary in 1997, and as President in 1998-99. She has served as guest editor for two special issues of the Journal of Petroleum Science and Engineering on reservoir wettability. She is also active in SPE, serving as an SPE Distinguished Lecturer in 1998-99, Review Chairman for SPE REE (1996-98), member of the SPEJ editorial board, and Program Chairman for the 2003 Oilfield Chemistry Symposium. Paul Worthington has been awarded the Distinguished Technical Achievement Award in recognition for his contribution to the scientific developments in core analysis and services to the core analysis industry. From 1972 to last year, Paul has published 70 papers – all of them concerned with the evaluation of reservoir properties from cores and wireline logs – a remarkable record of dedication to the International community of core analysts and worthy of the SCA’s Distinguished Technical Achievement Award. He has made significant contribution to the theory of shaly sand electrical properties and improved log interpretation of shaly formations. In 1988 he was first involved with the SCA as part of the subcommittee convened to draw up SCA measurement guidelines for the measurement of the electrical resistivity of rock samples, subsequently published in the Log Analyst. During this period he was asked by SCA Board to convene lunchtime meetings in Europe. He responded by suggesting the EUROCAS concept. He was appointed SCA European Director and given the go ahead for EUROCAS I, acting as Chairman of Conference and of Technical Committee. Conference theme was to be “Accuracy and Precision in Reserves Estimation”. First SCA European Core Analysis Symposium held in London in May 1990. The 150 attendees returned a profit to the SCA. All 29 papers were peer reviewed with help of a technical committee. The edited proceedings were published as “Advances in Core Evaluation” by Gordon & Breach in the autumn of 1990. The second SCA European Core Analysis Symposium was held in London in May 1991. It had the theme “Reservoir Appraisal”. Once again he chaired the conference and co-chaired the technical committee with Daniel Longeron. All 25 papers were peer reviewed by the technical committee. Longeron and he edited the proceedings, which were ultimately published as “Advances in Core Evaluation II” by Gordon & Breach in autumn 1991. Since 1994, he has served on various SCA technical committees, but anyone organising three conferences back-to-back deserves a rest from frontline SCA duty, the period of effort being recognised for what it did – sustained specialist interest in an important subject. With the ever-increasing use and reliance on simulation, the need for accuracy and precision of core analysis data in reserves estimation has not gone away. Dr. Honarpour received his B.S., M.S., and Ph.D. in Petroleum Engineering from the University of Missouri. He is currently a senior staff with ExxonMobil Upstream Research Company. 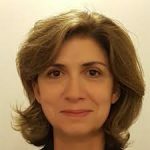 Honarpour has served as a reservoir engineer, geoscientist, experimentalist, core analyst, project manager, team lead, and petroleum engineering professor over the past thirty years. He has worked on characterization and management of giant reservoirs in six continents. He has done extensive work on naturally fractured carbonates and consolidated/ unconsolidated sand including those from heavy oil, light oil, volatile oil, gas-condensate, and dry gas reservoirs. He chaired the API Quality Control subcommittee on core analysis and established a world-wide quality control program for Mobil. Honarpour has designed several novel apparatus for relative permeability and capillary pressure measurement. 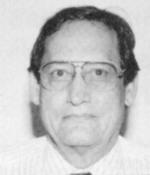 He was the 1988 Society of Core Analysts president and published the first SCANews for the society. 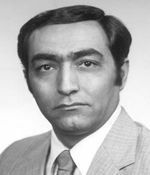 Honarpour has authored several books and over 50 technical papers in the petroleum-related literature. Honarpour is a registered professional engineer. George Hirasaki is A. J. Hartsook Professor of Chemical Engineering at Rice University. He has a B.S. from Lamar Tech (1963) and a Ph.D. from Rice University (1967), both in chemical engineering. During his 26-year career with Shell Development Co. and Shell Oil Co. in Houston and Los Angeles, his first major assignment was to lead the development of the Shell Group’s numerical reservoir simulator. His subsequent contributions in enhanced oil recovery include advances in polymer flooding, thermal recovery, surfactant flooding, and the use of foam for mobility control. His investigation of formation evaluation began in the mid 80’s with studies of the mechanisms wettability alteration, evaluation of wettability, and application of an automated centrifuge to measure relative permeability and capillary pressure. In recognition of his work at Shell, George was inducted into the National Academy of Engineering in 1991. In 1993, George took early retirement from Shell and joined the Chemical Engineering faculty at Rice University where he leads an industrial consortium-sponsored research program on formation evaluation and foam for mobility control. His research efforts focus on fundamental and applied studies related to several aspects of formation evaluation. George is as widely recognized for his work on oil reservoir wettability as he his for his efforts in characterizing rock and fluid properties by Nuclear Magnetic Resonance (NMR). His research has provided significant insights into the correlation between deposited asphaltene patches and wettability alteration. In the field of Nuclear Magnetic Resonance, George’s investigations have shown that NMR relaxation time relationships for live oils differ from those of dead oils, that clay minerals can cause significant internal magnetic field gradients and that the hydrogen index of live oils can be calculated using conventional PVT data. George’s continuing efforts to apply fundamental science to problems of practical interest are evident both in his research and in his teaching. It is his emphasis on combining good science with useful technology that gives his work such immediate and lasting value. Daniel Longeron is a principal research engineer with 30-year experience at the Reservoir Engineering Division of Institut Français du Pétrole. He is presently manager of the “Well Productivity and Injectivity” group, supervising theoretical and experimental studies related to near wellbore flow properties. After his secondary studies, Daniel enrolled at Institut of Technology of Besançon, France, where he got a degree in Micromechanics. Then, he received a degree in Physics and Chemistry from University of Paris. After 18 months with the French Air Force Army where he served as an officer, he joined, in 1968, the Department of physics of porous media at IFP to develop activities on corefloods at reservoir conditions. Finally, he received a graduate engineering degree from Ecole Nationale Supérieure du Pétrole et des Moteurs (ENSPM/IFP School). Since that time, Daniel has worked either on fundamental and applied studies related to EOR processes (immiscible and miscible gas injection, waterflooding, etc. ), petrophysics (relative permeabilities, capillary pressure, electrical properties) and formation damage. Among the main contributions to the Core Analysis Science, Daniel participated to the pionnering work with Charles Bardon to demonstrate the impact of low IFT on gas-oil relative permeabilities. Daniel is also wellknown for his major work on drainage-imbibition capillary pressure and resistivity measurements. This work has provided significant insights on hysteresis phenomenon of saturation exponents, leading to an improvement in log interpretation. Since his main efforts have been devoted to improvements of laboratory technology for providing cost-effective and reliable capillary pressures and resistivity measurements at reservoir conditions. In parallel, he has developed new equipments and procedures for formation damage assessment and remediations. He has been involved in a lot of laboratory studies for more than 20 international operating oil companies. His research efforts have been documented more than thirty technical papers and several patents. His paper, with Marc Fleury as co-author, “Combined Resistivity and Capillary Pressure Measurements Using Micropore Membrane Technique”, won the Best Paper Award at the 1996 International Symposium of the SCA. Daniel is co-editor with Paul Worthington of the book “Advances in Core Evaluation – Reservoir Appraisal”. During 15 years he has also been a teaching assistant at ENSPM/IFP School for specific courses devoted to multiphase flow, petrophysics and laboratory data acquisition for reservoir engineering purposes. As European Director of the SCA for the period 1991-1993, he was technical Chairman of the Second European Core Analysis Symposium held in London (1991) and Chairman of the Third European Core Analysis Symposium held in Paris in 1992. Then, as VP-Arrangements of the SCA in 1995-1996 he was in charge of the organization of the 1996 International Symposium of the SCA held in Montpellier, France. Norman Wardlaw is a reservoir geologist with 25 years experience and more than 90 publications on the flow of oil, gas, and water in reservoir rocks. His contributions to core analysis include detailed explanations of the flow and trapping of fluids on the microscopic scale and development of microscopic visualization techniques. 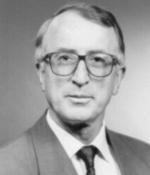 Dr. Wardlaw (Ph.D. in Geology from the University of Manchester) was Professor of Geology at the University of Calgary for more than 20 years, serving as Department Head from 1979-1982. In 1993 he retired from the University, but not from active participation in core analysis. His current interests include quantitative reservoir description at core and reservoir scales with the aim of integrating reservoir geology and engineering to predict reservoir performance. Among other distinctions, Dr. Wardlaw was a Distinguished Lecturer for the AAPG (1983-84), was awarded the Diploma of Honor for outstanding contributions to the petroleum industry by the National Petroleum Engineering Honor Society in the US (1990), and received an award for outstanding research from the Faculty of Science at the University of Calgary in 1991. Dr. Norman R. Morrow has held a joint appointment as Professor of Chemical and Petroleum Engineering at the University of Wyoming and Distinguished Scientist at the Western Research Institute (WRI) since 1992. Formerly, he was Head of Petrophysics and Surface Chemistry at the Petroleum Recovery Research Center at the New Mexico Institute of Mining and Technology. He has authored or co-authored more than 90 papers on subjects relating to fluid flow in porous media, including a contribution to the SPE Distinguished Author Series entitled “Wettability and Its Effect on Oil Recovery”. He founded the International Symposium Series on “Evaluation of Reservoir Wettability and Its Effect on Oil Recovery”. The third meeting in this series, held in Laramie, Wyoming in September 1995, drew over 100 scientists and engineers from 14 countries. In 1990 he received the New Mexico Institute of Mining and Technology’s “Distinguished Research Award”. In 1994 he received the Independent Petroleum Association of Mountain States ” 1994 Best Advanced Recovery Project” for his work at WRI. Dr. Morrow has served on the editorial review committees of the Canadian journal of Petroleum Technology and the Journal of Petroleum Science, and Engineering. Early in Jake Rathmell’s 30+ year career he realized that only by recreating the reservoir in the laboratory could the processes that occur there truly be understood. Since that time, Jake has been an uncompromising advocate for acquiring uncontaminated core and the use of reservoir conditions in laboratory experiments. Most know Jake for coring technology developments, first in the area of pressure coring and most recently with low invasion coring. However, his career has carried him into most of the reservoir technologies developed during that time period. Following a BS degree in Chemical Engineering from Texas Tech University and a Ph.D. in Physical Chemistry from Tulane, Jake joined the Research and Development Department of Atlantic Refining, a predecessor of ARCO. There he progressed through a number of technical and management roles culminating in his current position as Senior Research Adviser. Most of the early years were spent in EOR. Processes investigated included steam injection, in-situ combustion, and miscible gas injection. Jake initiated ARCO’s chemical EOR efforts. He also championed the formation evaluation effort, directing those activities for ten years. Areas of active study include relative permeability, formation damage, rock mechanical properties, well log interpretation and reservoir description. Jake is best known, however, for his research in core technology. He was the first to apply pressure coring to a reservoir gas cap with compositional analysis of the recovered hydrocarbon phases. He experimented with large-diameter pressure core barrels. Since 1987, Jake has focused on low invasion coring, developing the core bits, mud systems and coring protocol to minimize mud filtrate invasion. The technology has been invaluable to measurement of initial water saturation from cores and for the first time has provided core samples free of filtrate contamination. His research efforts have been documented in eighteen technical papers and a patent. ARCO has honored his efforts numerous times with technical achievement awards, most notably for formation evaluation in the Prudhoe and Kuparuk fields and for his low invasion coring technology. 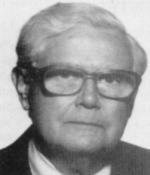 After his secondary studies Louis Cuiec enrolled at University of Rennes, in western France, from which he graduated with a degree in chemistry in 1962. Then, he received a graduate engineering degree from Ecole Nationale Superieure du Petrole et des Moteurs (ENSPM), in 1964. Finally, in 1968, he received a Ph D from the University of Paris, in Kinetics and Catalysis. Since that time, after some “holidays” in the French Army, Louis Cuiec has worked at Institut Francais du Petrole, in the Reservoir Engineering Department, for the last 25 years on various projects related to Special Core Analysis. When he started his work to define procedures to restore original surface properties of unpreserved core samples, most of the Reservoir Engineering community considered that all reservoirs were water wet. Now, reservoir engineers consider that most reservoirs are not strongly water wet. Louis is partly “responsible” for this change. His research has been related to the problems encountered by a core sample from the reservoir to the laboratory (influence of oil-based and water-based muds, influence of oxidation of crude oils etc.) and to solutions of these problems (cleaning procedures, influence of aging time, comparison preserved/restored samples, influence of thermodynamic conditions on wettability, etc.). He has also done research to understand more about the role of acids, bases, resins and asphaltenes on rock/fluid interactions, and to investigate the water/oil spontaneous displacement phenomenon. His work has resulted in 33 papers, and participation in the book edited by N.R. Morrow, his old friend. He has also been involved in a lot of studies for more than 20 international oil companies. He has been asked to be technical editor for the SPE and for the Journal of Petroleum Science and Engineering. 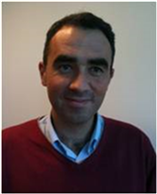 He is now Manager of the IFP project group “Physico-chemistry for Oil Recovery”. 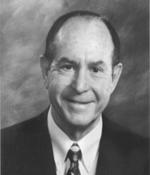 Dare Keelan is a native Texan, who graduated from Texas A&M University in 1951 with degrees in both Petroleum and Geological Engineering. He joined Core Laboratories in 1955, after serving in Korea as a pilot in the United States Air Force. His technical experience includes detailed reservoir engineering, mathematical model development for study of fractured limestone reservoirs, and laboratory measurements of rock properties and their application. Dare is a registered professional engineer, and member of SCA, SPWLA, SPE, Tau Beta Pi and Pi Epsilon Tau. He is the author of numerous technical publications relating to rock properties, and he was a contributor to the SPE Distinguished Author series. He has presented rock property seminars world-wide to over 5000 members of the petroleum industry and serves as a consultant. He is currently the Executive V.P. of Core Laboratories, now a division of Western Atlas International. He has management responsibility for Core’s company wide quality effort, and represents Core management with Russian, Chinese and Mexican operations. Bob Purcell was born in Taylorville, IL, in 1918. He obtained his bachelor’s degree in chemical engineering and masters degree in chemistry at Rice University and did additional graduate work at the University of Michigan under one of the first API fellowships. After WWII Bob joined Shell Development Co. in January 1946 at the Bellaire Research Center in Houston, TX. He had a long and distinguished career at Shell, serving both as Director of Basic Research and Director of Production Research at the Bellaire Research Center. In 1965 he became division production manager for Shell Oil’s Eastern Division of the Houston area before returning to research at the Bellaire Research Center. For 36 years at Shell, Bob conducted research m the fields of petrophysics, rock mechanics, and geophysics. His work on mercury capillary pressure measurements is a classic and established this method as the fundamental petrophysical tool for studying pore structure. He was the first to demonstrate the interrelationships between capillary pressure curves and permeability, and also studied relative permeability formation resistivity factor and resistivity ratio. After returning to the Bellaire Research Center, Bob worked in rock mechanics and hydraulic fracturing. Hs pioneering research on earth stresses and pore pressures have had a major impact on drilling problems and borehole stability. He was also active in the early quantitative uses of seismic amplitudes for reservoir evaluation. Bob retired from Shell in 1983. Ben Swanson was born in Austin, Texas in 1929. He started college at the University of Texas, and after serving one year in the Navy, joined Shell Development Company’s Bellaire Research Center in 1951. Attending college at night, he completed his BS in Physics from the University of Houston in 1955. For 38 years at Shell he conducted research on petrophysical properties of reservoir rocks, fluid flow, wettability, and tar sands. From his first assignment in Gus Archie’s Technical Services Group, Ben went on to become senior staff research physicist and project leader of petrophysical core research. He had research assignments dealing with various aspects of well logging, rock mechanics, and core analysis. He was an exchange scientist at the Rijswijk Exploration and Production Research Laboratory, the Netherlands, from 1969 to 1970. He is widely known for his work on determining saturation and permeability of rock samples using mercury capillary pressure curves and on studying pore structure and fluid distribution through comparisons of mercury-air and oil-water capillary pressure data. He introduced such basic core analysis techniques as hydrostatic weighing in toluene, initial residual counter current imbibition, and capillary diaphragm I-Sw measurements. With E.C. Thomas, he developed methods of measuring petrophysical properties of unconsolidated sands. In later years, Ben studied the influence of microporosity and crude wetting on electrical resistivity behavior. With Herb Yuan, he introduced rate-controlled porosimetry for resolving pore-space characteristics. In 1989, Ben retired from Shell after a distinguished career. 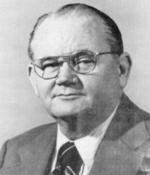 Lifetime achievement award 1989 – Frank Jones, Jr.
Frank Jones was born in Muskogee, Oklahoma in 1928. After several moves, his family moved to Tulsa where he finished high school in 1942. The Monday morning after graduating from high school, Frank began his career with Amoco in the core analysis laboratory. Shortly thereafter, he began his studies at the University of Tulsa. World War 2 intervened and Frank spent three years in the Army Signal Corp. 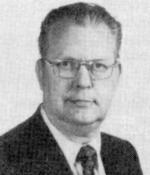 In 1946, he rejoined Amoco in the core analysis group where he worked while completing his degree in 1952 in Chemistry at the University of Tulsa. After graduation, he was transferred to the Drilling Fluids research group where he worked for about five years on the interactions of drilling fluids with reservoir rock. He invented the methylene blue analysis test for bentonite in drilling fluids (now a longstanding API standard method). He also studied the interactions of coring fluid filtrates with core material to determine potential wettability alterations that could occur. As a result of his interests in reservoir engineering, he was transferred back to the core analysis group where he worked on: wettability, electrical properties of rocks, relative permeability, stress effects on permeability and especially on tight gas sands. In 1980 he received the Best Applied Research Award from the Rock Mechanics Committee of the National Research Council. In 1981, Frank retired from Amoco and immediately started F.0. Jones and Associates, a consulting and core analysis equipment manufacturing firm. He remains a vital force in core analysis worldwide. 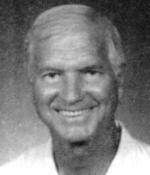 Lifetime achievement award 1987 – Bill Hensel Jr.
Bill Hensel was born in Dallas, Texas in 1927. He served in the U.S. Coast Guard during World War II as a Control Tower Operator and joined Sun Oil Company in 1951 as a technician in the Core Analysis Laboratory. Bill attended Dallas College of SMU majoring in Industrial Engineering. In 1955 Bill was placed in charge of Sun’s Core Analysis Lab. For the next 17 years this lab provided conventional and special core analysis services for Sun’s domestic and foreign operations. Of particular significance was the development of standard assaying procedures for the Athabasca Tar Sands and the then popular oil shales. This group also developed a high temperature retorting procedure that industry adopted as a standard for an improved summation-of-fluids porosity method. Bill authored the definitive paper documenting the technique. Starting in 1972 Bill directed a group of professionals whose responsibility was to provide interface services between Sun’s various technical and engineering functions and commercial vendors offering reservoir rock property testing procedures. In this regard he was directly involved in the planning and on-site supervision of special coring and testing programs. 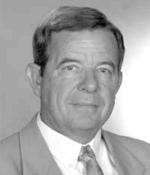 In 1985-86 he served on the first SCA Board as Secretary/Treasurer and was elected to Vice President of Technology for the 1986-87 term after which he retired from Sun Exploration & Production Company, now Oryx Energy. Bill has published some 10 papers and holds two patents dealing with oil field equipment/procedures. He is a senior member of the SPWLA and the SPE and serves as a technical editor for each.